Large Fife inspired modern classic yacht. Outstanding cruising and racing potential. Sleeps ten guests. 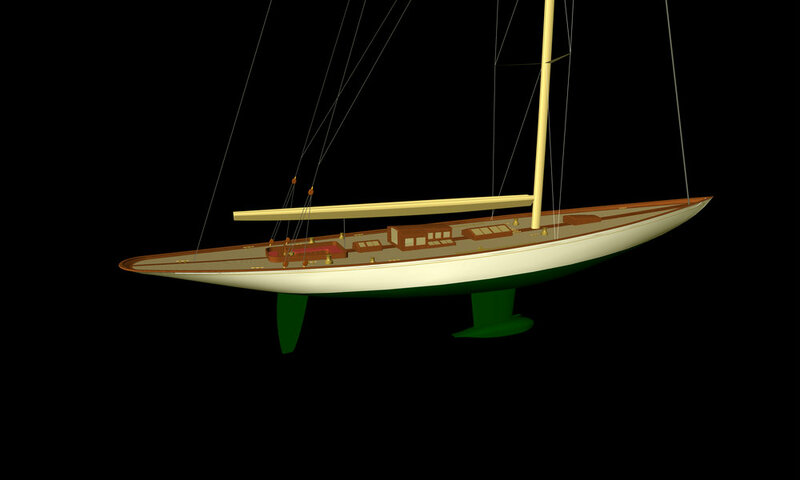 fin keel configuration, modern carbon rig. The lines are in Fife’s inimitable style and, when complimented with Fairlie’s singular joinery and finish, result in a yacht that will have, in every way, met with the designer’s intention. During the career of any yacht designer there will always be a selection of designs that, for one reason or another, never get built. In this, William Fife III was no exception. During his lifetime he proposed well over 100 yachts that suffered this fate; some were simply lines plans, some sail or accommodation plans and a few were fully developed and realised into complete projects. In the very early 20th Century, William Fife devoted a significant amount of time to developing hull lines for racing under the Universal Rule. 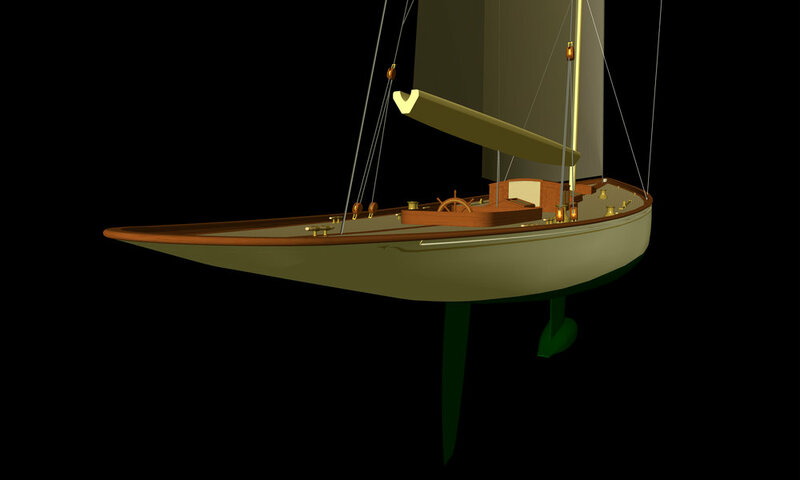 Fife’s reasoning behind these hulls is unknown, they may even have been designed with the intention of building an America’s Cup Challenger but, whatever the reason, the result was a set of hull forms that could be built and raced as some of the largest and most striking yachts afloat today. The Fairlie 110 has been developed through our Design Evolution ethos using one of these ‘work in progress’ designs. Fife’s hull lines and Fairlie’s own vast experience and knowledge of his original yachts means that everything visible above the water will sit perfectly, shoulder to shoulder with so many of his famous yachts still gracing the classic circuit today. 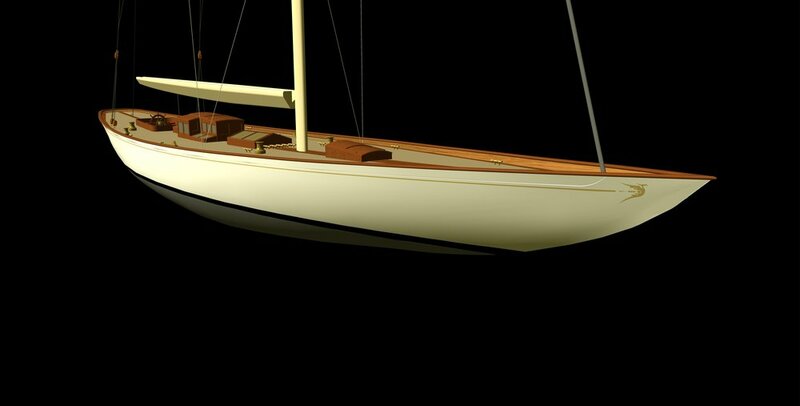 However the designs have been adapted to the 21st Century by Fairlie’s in-house design team, deploying the technology and ideas used during the development of Fairlie’s smaller Modern Classic Yachts to be the Flagship of the Fairlie Yachts’ Range. Thank you! Please click here to download your brochure.